Mark Jones: “I just want to give artists the platform to do what they do. That's what it's always been about for me. It's never been about sitting in a studio saying, 'Don't do it like that, do it like this’. 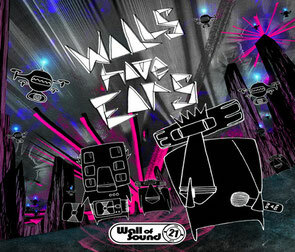 Wall of Sound has always been about artists being themselves. It's been a very very interesting journey, 21 years....who would have thunk it?" Check the mini-mix out below.